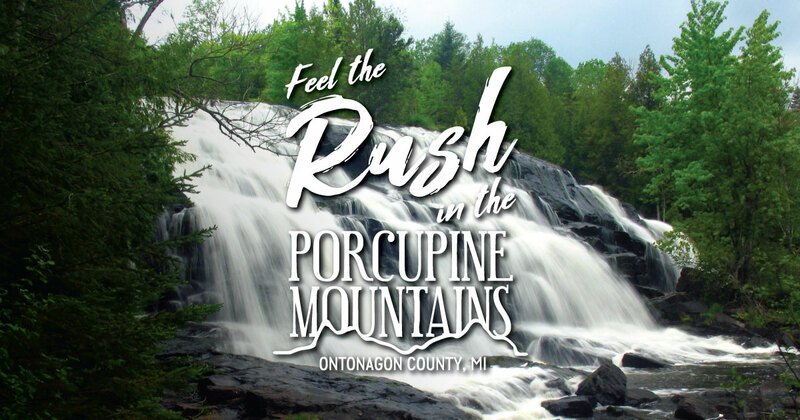 Paddling season has arrived in the Porcupine Mountains and Ontonagon County, a wild and beautiful paddling destination that’s a favorite with paddlers who love adventure. There’s expansive paddling along the Lake Superior shoreline, as well as rivers and lakes to navigate inland. Here’s a quick guide to paddling the Porkies. The greatest of the Great Lakes is a big draw for paddlers. Sea kayakers will find a rugged and unspoiled shoreline to explore. In the morning, the waters can be calm and flat—other times waves can offer more of a challenge, but big-water paddlers will be rewarded. The Porcupine Mountains Wilderness State Park borders about 25 miles of Superior shoreline, including some pristine beaches specked with agates and driftwood. If you have a light watercraft and are up for a portage, you can float on one of Michigan’s most iconic lakes. Lake of the Clouds can be accessed via a ¾-mile hike. The lake is surrounded by lush forests and towing bluffs. It’s an unforgettable paddle for those willing to take on the challenge. While the rivers in the Porcupine Mountains Wilderness State Park are too shallow for canoes and kayaks, there are several other waterways in the area that are open to canoers and kayakers, including the Ontonagon River and Black River Harbor. They include paddling routes that will take you through miles of unspoiled wilderness. You may not have company on some of these stretches, other than eagles overhead and the occasional jumping fish. Not up for hauling your boat to the Porkies? No problem. Canoes and kayaks are available for rent at Porcupine Mountain Outpost in the Porcupine Mountains Wilderness State Park. They offer canoes, kayaks and two-seat kayaks. Many lodging properties in the Porcupine Mountains and Ontonagon County also offer the use of watercraft.